Sharing the story of Christmas with children is a wonderful experience for the entire family. The Nativity scene tradition began nearly 800 years ago with St. Francis of Assisi. Traditional displays often wait until December 24th to add Baby Jesus in the manger. 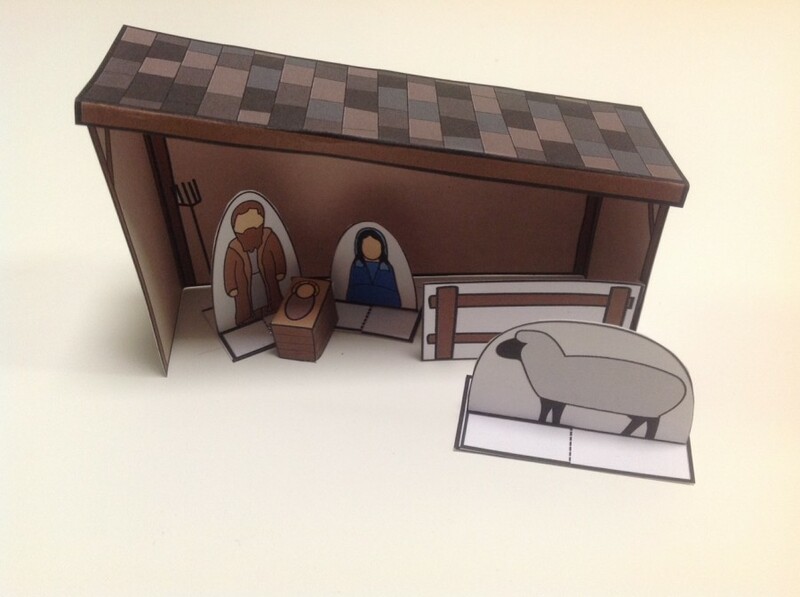 On the following days, the shepherds are added. Then, on January 6th, Three Kings Day, the magi are added. The display is shared until February 2nd, which is the end of the Epiphany. 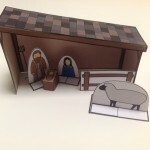 Even children as young as two can form a basic understanding of the Christmas story. 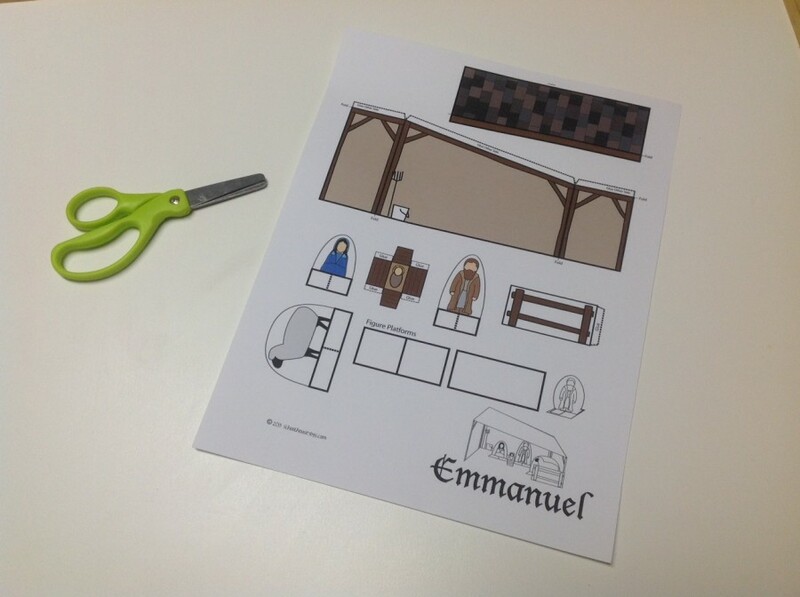 For younger children, build the free manger scene (large version) in advance. 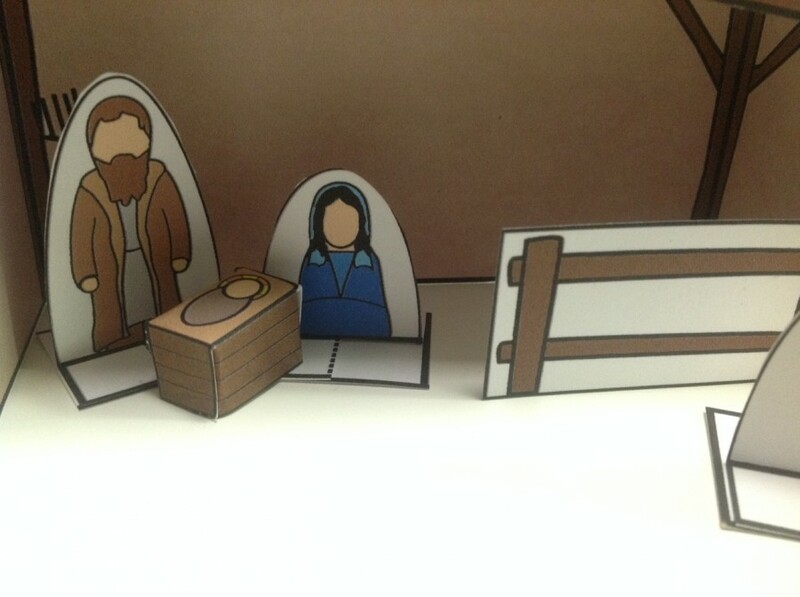 Play with the manger scene and share simple, factual statements about Jesus’ birth: “Jesus was born. Mary was Jesus’ mother. 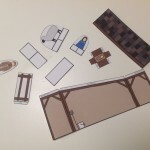 Joseph took care of Mary and baby Jesus. 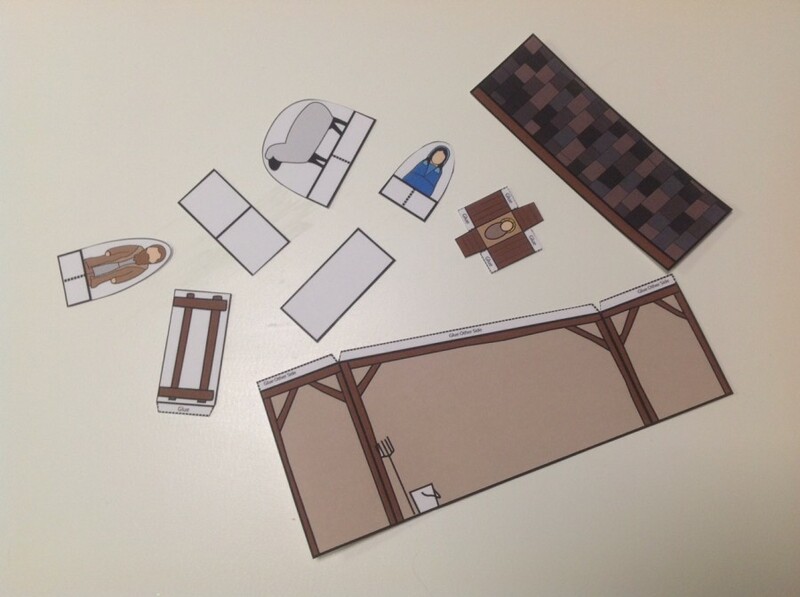 Christmas is Jesus’ birthday.” The printable manger scene provides hands on experiences for your youngsters. 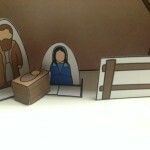 They can touch the manger scene as you talk about Jesus’ birth. They can also learn the names of each figure. 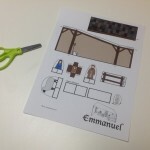 Older children may enjoy coloring the manger scene before assembly.